Retiring Sen. Bob Corker (R-Tenn.) offered faint praise on Sunday for the Republican likely to win the nomination to replace him, telling interviewers on two Sunday talk shows that his party was making trouble by questioning his loyalty. In a separate interview with CNN’s “State of the Union,” Corker accused the National Republican Senatorial Committee of “leak[ing]” news of tensions with Senate Majority Leader Mitch McConnell (R-Ky.) over Corker’s public comments about former governor Phil Bredesen, the likely Democratic nominee, and his advantages in the race. 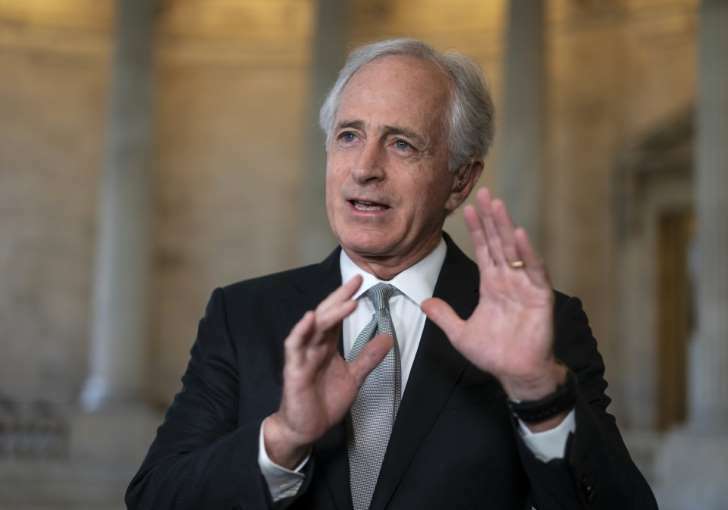 The Washington Post first reported on tensions between Corker and fellow Republicans. On Wednesday, Corker praised Bredesen, a two-term governor whose tenure overlapped with Corker’s first term, as “a very good mayor, a very good governor, a very good business person.” Hours later, President Trump called Rep. Marsha Blackburn (R) to reiterate his support for her in the race, and McConnell confronted Corker to say that his remarks had been unhelpful. But on Sunday, Corker had more to say about the heavy hand of Senate Republicans than he had to say about Blackburn. On CNN, Corker added that “most people in our state — it is a red state — will focus on the first vote she makes, and that is the vote to elect the majority leader.” But again, he referred obliquely to “the nominee,” not using Blackburn’s name. Democrats have not won a statewide race in Tennessee since Bredesen’s 2006 reelection and have not won a Senate race since 1990, when Al Gore won a truncated final term. But early polls in Tennessee have found Bredesen leading Blackburn. As of their last fundraising reports, the congresswoman had $5.9 million to spend and Bredesen had $1.7 million. But the former governor has raised enough to keep the race on the radar, and Blackburn, who gained national prominence during the rise of the tea party movement, is running to Corker’s right.